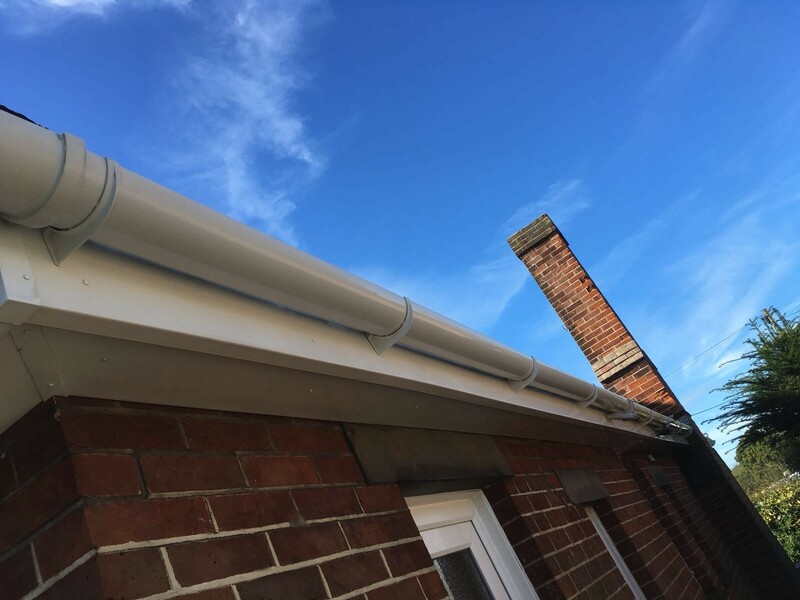 Ensuring your gutters are clear and clean is an important part of your homes weatherproofing & waterproofing system, and also ensures that you are covered by your home insurance should you have damp/water leak issues. Debris can collect in the gutters. Grass, moss and even birds nest can frequently be found to be the cause of blockage to the gutter. It is difficult to predict and prevent however as for the most part the contents of the gutter is very difficult to see from the ground. It is important that the gutters are cleaned regularly. Bi-annually is preferred. Spring and Autumn ideally. Although, if your house is located directly under trees more frequent cleaning may be required. It is advisable at minimum have the gutters cleaned before winter. If debris and water get trapped in the gutter it can freeze in the colder weather and form blocks of ice. This will put a strain on the gutter, the gutter brackets and also the gutter mounting. If the gutters are not maintained adequately and water is unable to drain away from the house damage can result. Often the first inclination a home owner has that their gutters need cleaned is the damp coming through a wall due to the faulty gutter system. Regular routine cleaning of the gutters can prevent problems such as this before they arise. Finally the gutters and the gutter brackets are checked for any serious damage. If any is found we inform the client. 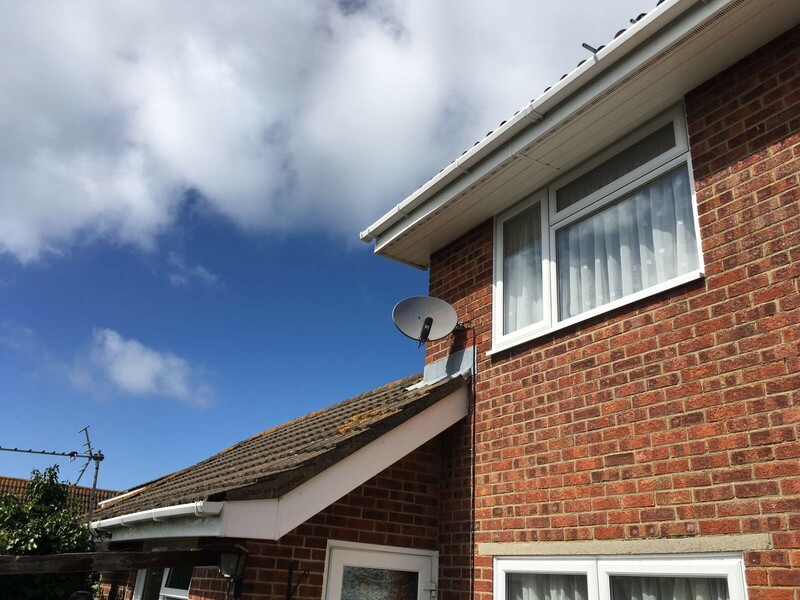 Costly replacement of guttering however is rarely necessary and most of the time we are able to reassure the client that they now have clean gutters which are fully operational. If your home is a 3 storey property or higher we use the guttervac system. This is a system that ensures we are able to clean gutters up to heights of 40 feet or around 5 storeys from the ground. Most if not all professinal gutter cleaning companies use this system for very tall buildings. It is a safe way to ensure gutters are cleaned without the need to employ expensive equipment such as cherry pickers or scaffolding. Of course we also check the downpipe as well and clear it if it is blocked. If you would also like your soffits and fascia’s cleaned we can do this. Soffit and fascia cleaning is an additional service we supply. Let us know if you are interrested in this when you initially inquire and we will provide a quote for this service. If you would like a free quote please do call us on 01983 609575 or better still, fill in our inquiry form below. Someone will contact you about this within 24 hours of receipt of the form.